Welcome to the Willamette Valley Saluki Club Web site. WVSC was established by Pacific Northwest Saluki enthusiasts in 1980. The Club held its first AKC sanctioned Specialty and Sweepstakes in 1991. WVSC is dedicated to encouraging and promoting the selective breeding of purebred Salukis and doing all possible to preserve their natural qualities. Click on the following link for complete Club Objectives. WVSC holds general meetings every other month. 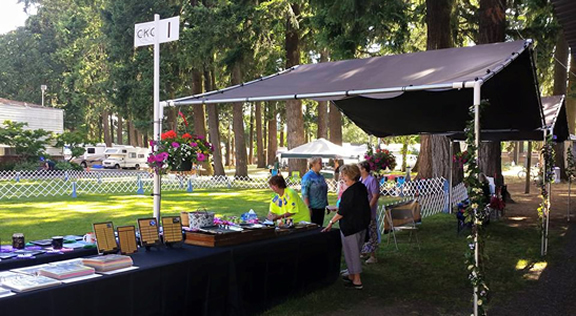 Our annual Specialty and Sweepstakes is held each June at the beautiful Clackamas County Fairgrounds in Canby, Ore.
You can also follow WVSC on Facebook at www.facebook.com/WillametteSaluki.